Home » Mind » Success Qualities » Who Am I and Who Cares? Who am I is a question and a process of revealing layers of our self . It’s a process of revealing our self to our self. The person who should care the most is our self. We don’t really need to worry about what others think or care about us. Who I am keeps evolving and changing, we keep evolving and changing. Who I am is an act of self inquiry of inner listening to our truths and also self observation. We can stand back and watch how we act and also notice how we feel. If we observe more, we can learn a lot about our self. There are some ways to answer the question who am I? 1. Sit in silence and ask yourself who am I and listen for the answer. Then keep asking and listening for the answer. 2. Journal writing, ask who am I and listen. Write down your answers and also just journal in general and notice what you’re writing about. 3. You can do journal drawings. Ask who am I and draw what comes up. Don’t try to make it all perfect. Just draw or even paint and see what shows up. 4. Step back and try to see yourself. Notice what you learn about this person you’re observing from a distance. What do they value? What do they believe etc.? Really try to notice yourself from a different perspective. 5. Watch your feelings. A strong reaction of anger or fear response is telling you something. Figure out what it’s telling you. What button is being pushed? This is most likely related , in part, to your past and is not yet resolved. 6. Ask your friends and/or family how they see you . Sometimes it’s nice to get feedback and learn how others see you and why they see you that way. Receive this as information only, not as a definition of who you are. You’re the one that decides who you are. No one else. 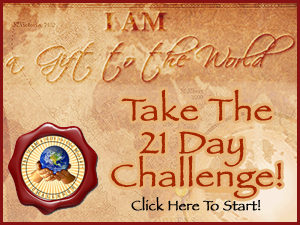 Keep asking the question – Who am I? 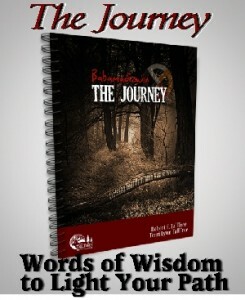 To help you in this process I recommend you buy the e-book- The Journey (Babamadizwin) . This e-book was created by my good friends Robert and Terri TallTree and provides a structure where you can create a map of where you are, where you’re going and how you will get there based on Native American Wisdom.